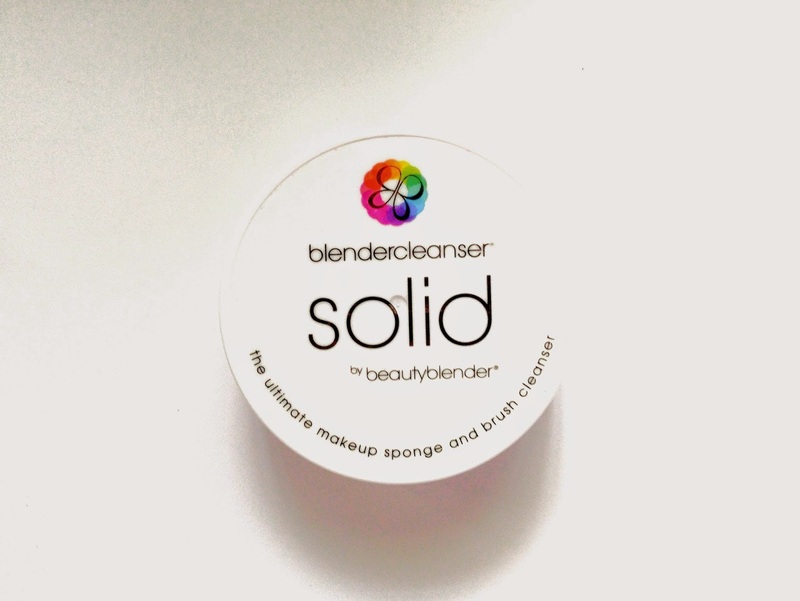 Review | Beauty Blender | Blender Cleanser Solid | Sheena V.
I'm sure most of you have heard of the hype surrounding the Blender Cleanse Solid. I bet you guys are curious to know, is it indeed worth the hype? 1. 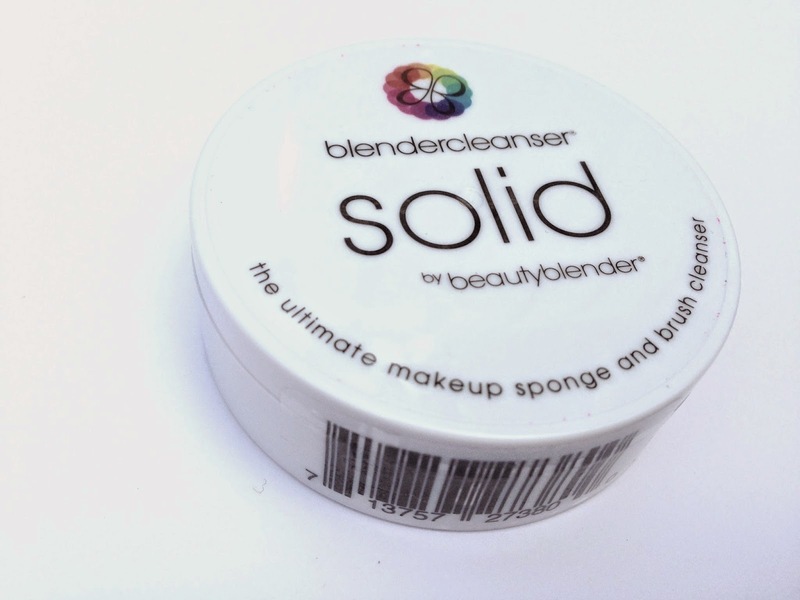 Rub your beauty blender / brushes directly on to the soap to create a lather. Do note that it does not foam up much, which is normal. Once it has lathered a little, rub it against your palm to help remove the foundation inside. 2. 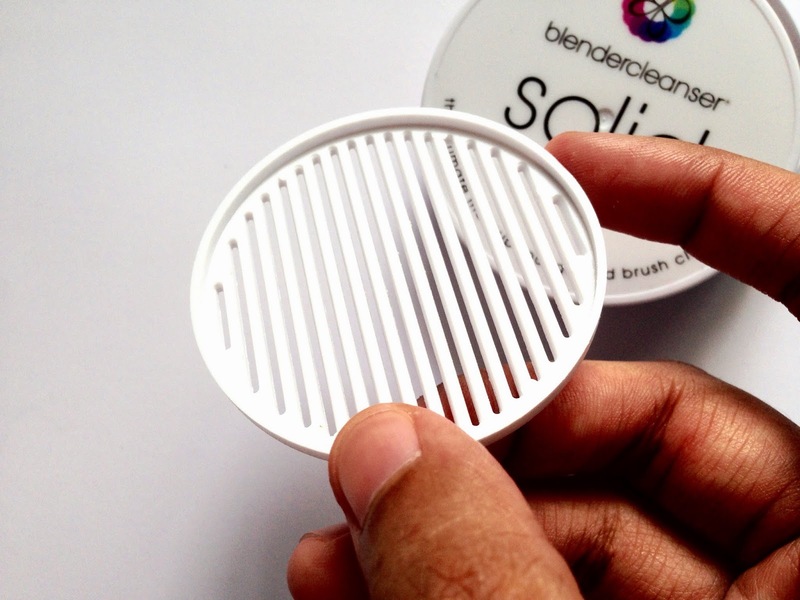 <Only for brushes> Place the plastic filter on top of the soap and then rub your brushes over it. 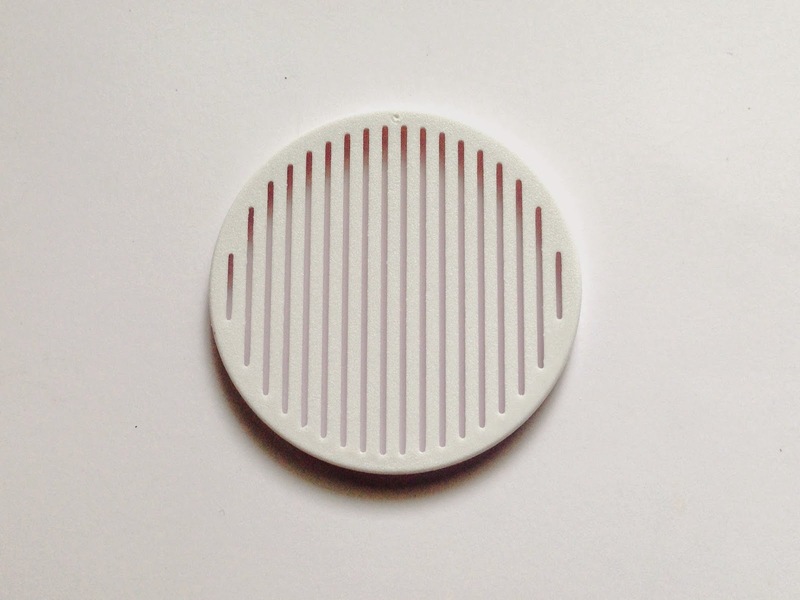 The plastic filter acts as a uneven surface to allow the soap to 'scrub' out the dirt. I found that this method is particular useful for cleaning stipple brushes due to the different length of bristles. Do not use this method for your beauty blender as it might damage the beauty blender. Will it leave my stained brushes SPOTLESS? URGH. The dreaded foundation stained brush! 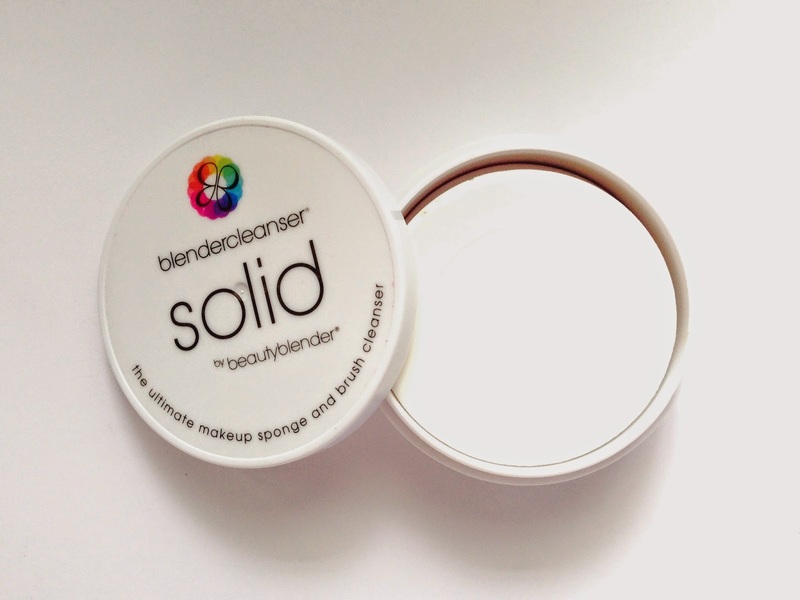 I put the Blender Cleanser Solid to the test by letting it clean the above brushes mentioned. Prior to this, I found that the best soap to use was DETTOL Body Soap in Original. I will elaborate more on that method in the future but just to let you know, I got along with that just fine. Powder products are generally easy to remove regardless of what soap you use hence the real test here is if it manages to remove the foundation stain. I'm happy to announce that although it required more work than the powder-based stained bristles, it did still managed to remove the foundation stain from the bristles within one wash.
After rinsing the brushes out with water, I found no suds left within the bristles. This is something that may not occur when using other soaps. It is important to remove all suds from the bristles to prevent damaged roots that results in shedding. After washing, I noticed that the bristles felt softer. However, it didn't look softer. Meaning, the bristles didn't look any less frizzy which makes me wonder what exactly is in that thing to make it this way (potential con). The smell is very reminiscent to a particular bar of soap that my mum used to purchase, I think it was LUX. I personally avoid bar soaps because those are more likely to irritate the skin, read here. The ingredient list did state that it includes fragrance so it may or may not irritate your skin while cleaning. I noticed that drying time for my brushes when using this soap is significantly longer than when I use Dettol Body Soap. Specifically, it took about 48 hours for the above brushes to dry, which surprised me! It usually takes me at most a day. I may be wrong, but from the ingredient list, I do not see any ingredient that could kill the germs collected in my brush. Someone correct me if I'm wrong. Hence if you have acne prone skin, you might want to proceed with caution. As for everything else, it boils down preference. Here are my thoughts with regards to the product, $30 price tag aside. Do not have a huge brush collection to rotate brushes, your brushes may not dry in time for your next use. Are sensitive to products with fragrance, this might result in an adverse reaction to your skin. TIP: If price is the only thing stopping you from buying this bar of soap, would suggest just using this soap solely for cleaning foundation or cream product brushes to avoid having to repurchase this product so soon. Let your regular body soaps clean the powder products off the brushes because those get the job done sufficiently. You could also stalk Luxola.com for coupon codes to get more bang for your buck. 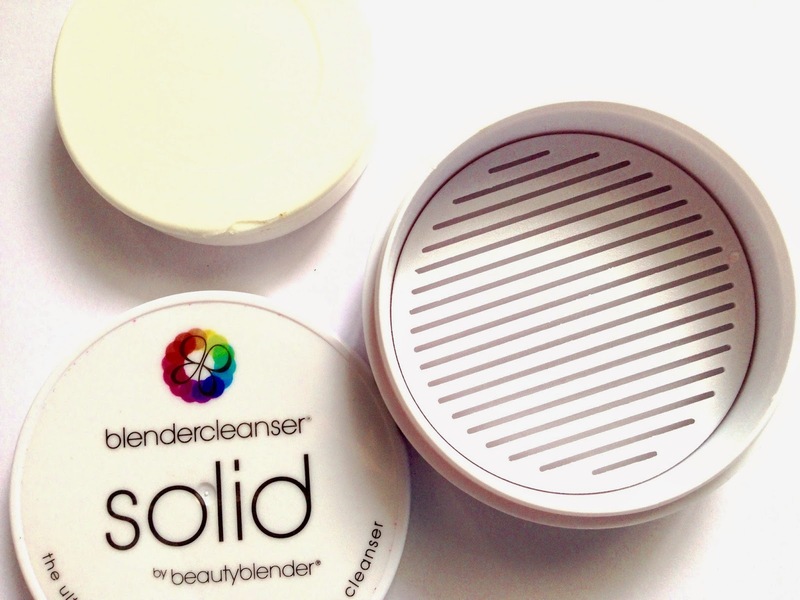 You can buy the Blender Cleanser Solid on Luxola here. If this is your first purchase, use code LUCKY30 to get 30% off. Even if you're a repeat buyer, Luxola usually has pretty generous sales going on so if you think this could be your next Holy Grail product, I would stock up during the next sale they have. You never know when they might start adding this brand to their 'non-discountable brands' list because no matter how good a job it does, a bar of soap is never worth $30. I hope this review has been helpful! Disclaimer: Not a sponsored post. Products bought with my own money. All thoughts are my own.